This is a characterful women's boutique, selling high end as well as delightful bargain items, from one-off silk dresses to bright plastic utility carry bags. 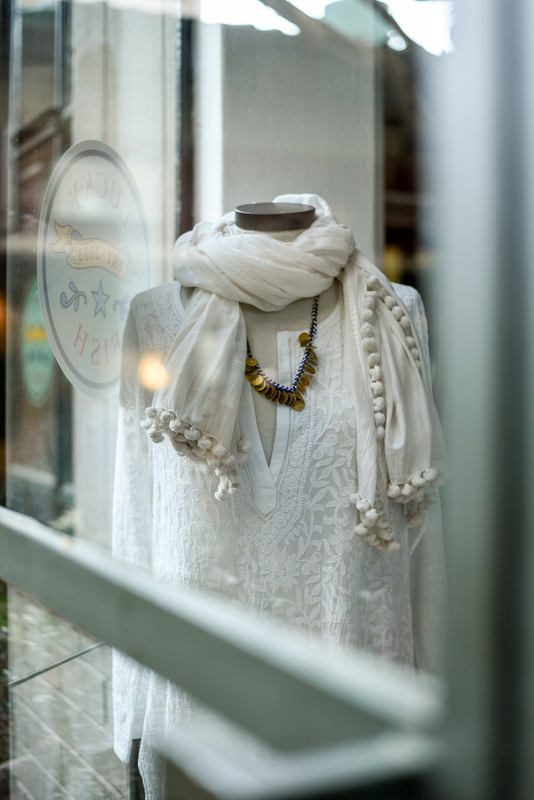 Clothing collaborations between artist and tailor, studio pottery, finely crafted African basketware, handmade precious jewellery & artisinal imports make up an appealing mix of merchandise. Find them on the east part of the centre.